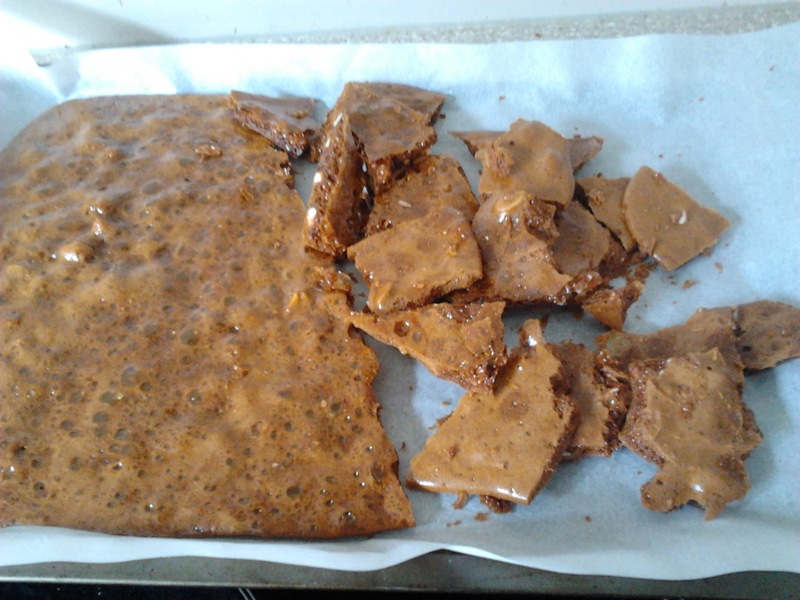 Lilly-Belle Makes The Internet: Peanut Brittle - So simple & made in the microwave! Peanut Brittle - So simple & made in the microwave! Peanut brittle is one of my most favourite Christmas baking treats! However, I've never been particularly successful at making it myself. In theory it worked well... Corn syrup isn't a regular grocery item in NZ like it is in America, so I figured I'd just substitute it with golden syrup and it would be fine - good theory, yes? Well, in fact, yes! However, what I didn't find out until after is that golden syrup burns much quicker than corn syrup. It still turned out fine, but with a slight hint of burnt flavour. It's still edible and it still makes me happy, but next time instead of microwaving it on high for 5 minutes like the recipe states, I'll try it after 3 minutes or so. ps - I've had a bit of a thought... for posts such as this, would you like me to add the actual recipe to the end, or would you prefer to link through to the original source instead?